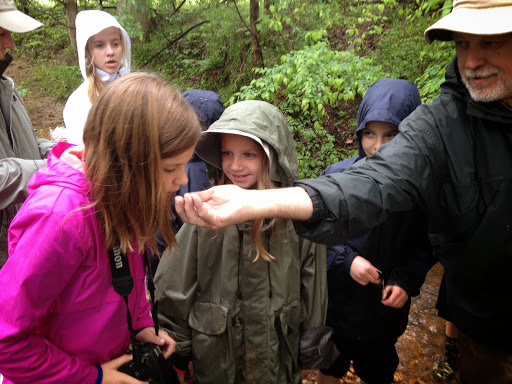 4/25/2015 A field class was held at Camp Discovery in which participants were introduced to “Creek Critters”. 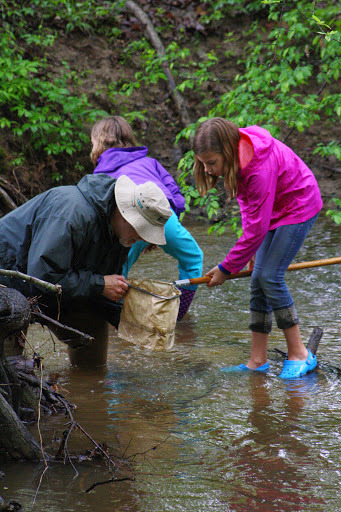 Eleven children, their parents, and several volunteers participated in collecting a variety of macroinvertebrates from different habitats, using three collection techniques. All seemed to enjoy the activity. So, THAT’s why the pioneers called them Apple Bugs. 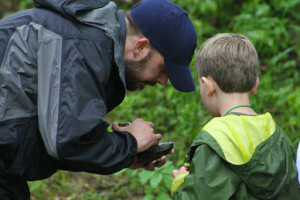 Jay Robinson points out the details of Stonefly anatomy.